The Lab has launched the latest step in their campaign to celebrate SL’s tenth anniversary – and it is an offer certain to delight and frustrate. 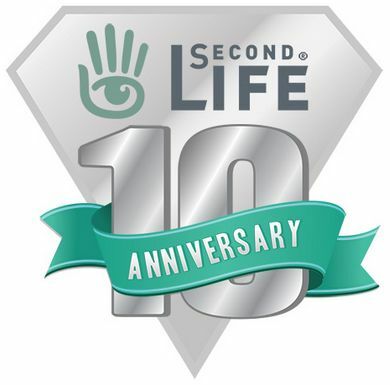 To help celebrate Second Life’s tenth birthday, we’re running a co-promotion with Alienware , the pioneer in specialty high-performance PC gaming systems! From now until July 17, 2013, Second Life users can enter to win a brand new Alienware 14 laptop! For contest details and to enter today, visit here. The Alienware 14 has some impressive specs: Intel i7QM processor, 8 or 16Gb of memory, either an NVIDIA® GeForce® GT 750M with 1GB GDDR5 or NVIDIA® GeForce® GTX 765M with 2GB GDDR5, Windows 7 or 8 64-bit, etc. Exactly which model is up for grabs as a prize is unclear from the promotion, but I’d suspect the entry-level model might be a safe bet. HOWEVER, before you start rubbing your hands in glee at the prospect of winning a new laptop, be advised that if you’re outside the US, you’re stuffed. You’re not eligible to enter. There are potentially some very good reasons why the offer is limited to US residents only. For one thing, running a truly international competition with such an attractive prize with a third-party is going to be something of a logistical load to carry, even allowing for any legal / technical issues involved. It’s also likely that Alienware / Dell themselves limited the scope of the competition so that they are not hit with and headache in running it (and lets face it, “country specific” competitions aren’t actually that unusual for multi-nationals to run). But, the fact remains that in going this route, rather than attempting to develop a competition which is inclusive of all their users, the Lab is again going to be perceived as thumbing its nose at its overseas users. Even so, the fact remains that, with the number of recent “US-only” promotions the Lab has run in recent months (and remembering that ant “US-only” limitations placed on them may not be LL’s fault, but rather stipulations placed on the offers due to technical or other reasons), it would be nice to see if the Lab could come up with opportunities to win “valuable” prizes and participate promotional offers which are both reflective of and inclusive of their international user base. Oh, I agree. Which is why I point to various reasons why the offer is limited. There’s also the matter of Dell undertaking international liaison, etc., and systems coming out of regional budgets (plus the build differences to caccomdate power requirements, local language keyboards, etc). Even so, there will doubtless be gnashing of teeth and rendering of garments somewhere as a result of this being limited. Maybe we could start a business managing international competitions and sort out all the pesky details for a really high fee! I’m already thinking ways to keep cost down (and fees high). 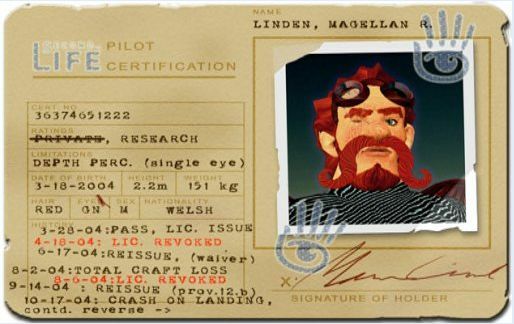 um, there’s also his issue with navigation to be honest – most of his discoveries were the accidental result of getting lost on the way to the nearest bar. I still think that any Worldwide product as SL is, need to be treated as that and this kind of campaigns will only make users angry, more cause the biggest Sl communities are not for sure USa ones, no matter what! The problems with making competitions of this nature trule international are mentioned in the piece itself. In some respects, the only way that LL can really offer an international reach with a competition is if they run it internally for themselves. In fairness to the Lab, they are actually doing precisely this with their current SL10B photo contest, which has homestead regions on offer (albeit it on a limited basis). That said, when it comes to competitions involving real-world prizes or real-world promotions, I would like to see the Lab give more creative thought towards their non-US users, and to see if they can avoid some of the pitfalls evident in running such events. Have to say that I think in this case, they’ve got it wrong to run such an exclusive competition during the period of SL10B, which is a wholly inclusive event. Surely the lab can negotiate with Dell Europe or other regions to arrange a competition that apepals to a wider base, there will always be locations whereby such promotions cannot reach but Alienware is available in more countries than the USA, they sell in Europe and the Lab can’t even get a deal that includes Canada? I think part of the problem is that while Dell may well be a multi-national organisations, the likelihood is that the various country operations function as independent entities – and so getting them all to co-ordinate on something like this isn’t something that’s going to fly very easily. But, your broader point on making a more inclusive offer at this particular time – SL10B et al – is very well made, and again is why I’d have liked to see the Lab give a little more thought to finding the ways and means to think more broadly about these kinds of things in general. Again, given the Lab does still promote itself as running international offices (they recently quoted themselves as still having a UK presence, for example), then why not look at the opportunity for collaborative opportunities on a more regional basis in the future?